Chanko is a term used to refer to all types of cuisine made by rikishi (sumo wrestlers). The word chanko comes from combining chan, meaning “parent” and ko meaning “child”, and refers to the act of everyone—coaches and trainees alike—eating the same meal together. More than twenty years have passed since Shin-Sen-Gumi opened its first nabe (hot pot) restaurant, with the aim of introducing to American diners the unique culinary culture that is Japanese nabe. 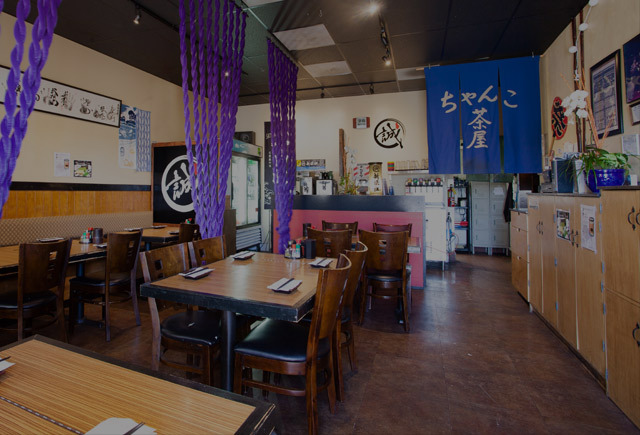 When the restaurant first opened, there were those who doubted that nabe was the right fit for the warm Los Angeles climate, but the restaurant flourished nevertheless, and over time more dishes have been added to the ever-popular menu. Our range of chanko nabe includes seiro mushi chanko (steamed hot pot), mizutaki chanko (cloudy chicken hot pot), soppu nabe chanko (soy sauce hot pot), kara nabe chanko (spicy hot pot), and motsu nabe chanko (offal hot pot). The simple joy of gathering together with friends around a gently bubbling hot pot. It is act that warms the soul as well as the belly, as you let the deliciousness seep through into every fiber of your being. A vibrantly colored layer of vegetables and seafood including salmon, shrimp, and scallops, and an eye-catching fresh-looking red layer of beautifully marbled black pork belly combine to create a dish that looks every bit as special as a New Year’s Feast. The seiro (hinoki-wood steamers) in which these ingredients are laid out have been sourced from Japan; they are glue-free and made entirely by artisan hand. Steaming retains the natural flavor and deliciousness of the ingredients, while imparting a gentle scent of hinoki (a type of cypress) wood to the dish. This is a special dish that’s ideal for entertaining or a special occasion. This special hot pot is made using freshly-slaughtered chicken meat that is simmered gently for around six hours until the broth is white and cloudy. Chanpon noodles are added at the end for a delicious finish. Soppu is a term from sumo wrestling which refers to wrestlers who are lean and athletic in build. It also means “soup” in Dutch. This healthful hot pot is made with a soy sauce-based broth, to which a variety of ingredients are added for great flavor and nutritional balance, including fresh vegetables, our house tsumire (chicken meatballs), shrimp, and mushrooms. This hot pot is distinguished by its brilliant red broth, made from a konbu (kelp) base to which gochujang (Korean red chili paste) and chili powder has been added. Added to the broth is a selection of ingredients including fresh vegetables and seafood including shrimp and salmon. This dish is particularly popular with our female diners.